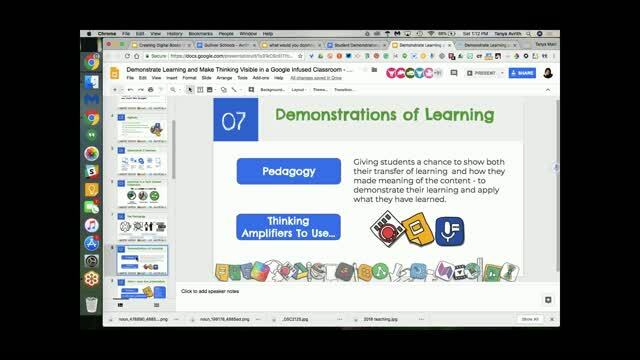 Would you like for your students to be able to create artifacts of learning that truly make their thinking visible and amplify their voices? 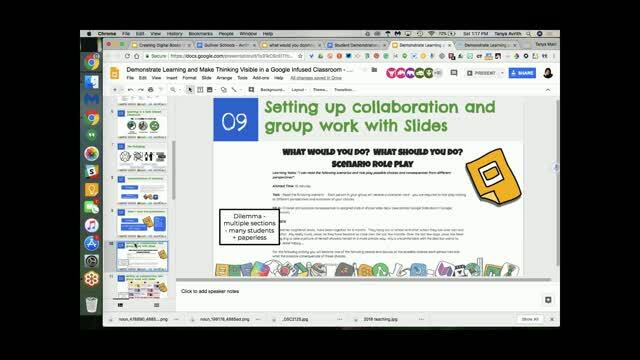 Would you like to take their learning beyond rote worksheets? 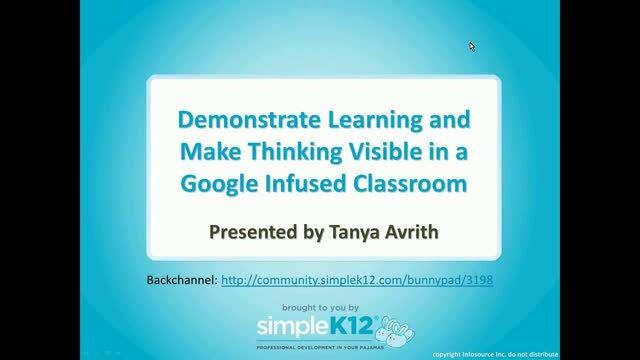 In this webinar, join Tanya Avrith as she explores some of the top Google tools that can help students create meaningful learning opportunities. 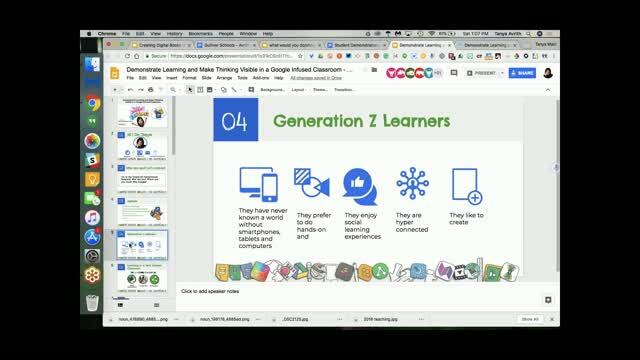 In addition to discussing various tools, she will provide practical curricular and pedagogical tips and strategies that are aligned with 21st century literacies. 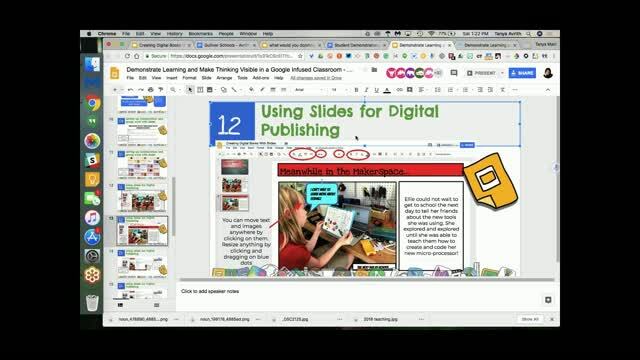 Come discover some great ways your students can use Google tools to demonstrate their learning in meaningful ways for authentic audiences. Lots of neat new stuff to look forward to using. Definitely useful add-ons and extensions!